THIS VARIETY WAS COLLECTED AND INTRODUCED TO FLORIDA BY CHRIS ROLLINS, DIRECTOR OF THE REDLAND FRUIT AND SPICE PARK IN HOMESTEAD, FLORIDA. 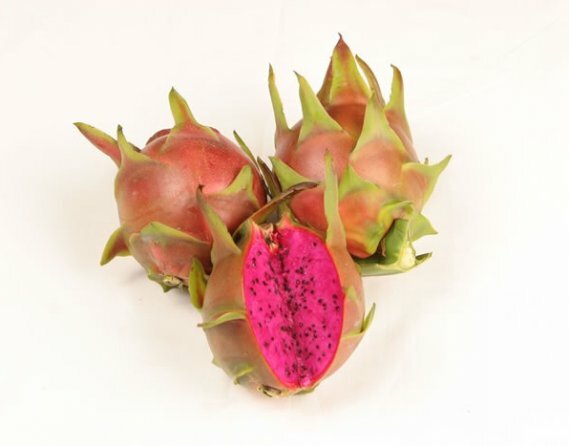 THE FRUIT HAS AN IMPRESSIVE APPEARANCE BOTH INSIDE AND OUT, AND IT HAS THE FLAVOR TO BACK UP ITS GOOD LOOKS. THE FRUIT SIZE RANGES FROM 0.5-1.0 LBS. AND OCCUR WITHOUT CROSS OR HAND POLLINATION. THIS VARIETY WOULD BEST BE USED AS A FRESH FRUIT DISH OR AS A GARNISH.